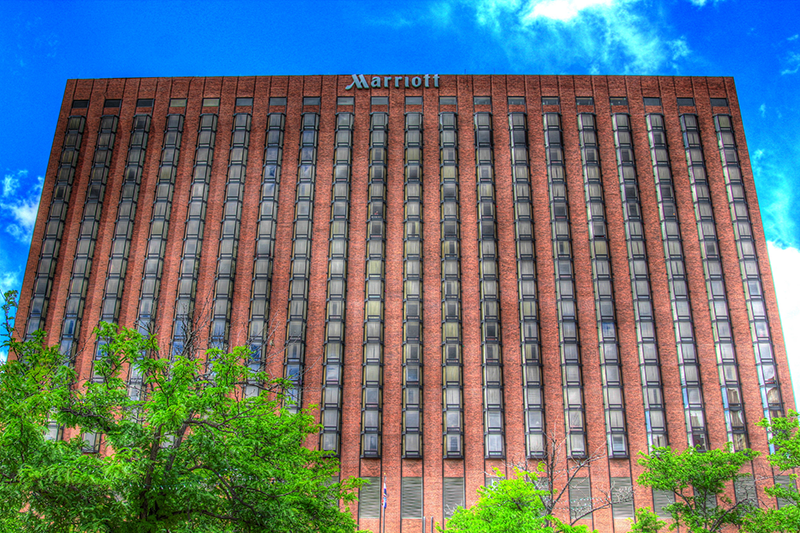 The Kansas City Marriott Downtown remains a fixture in Kansas City thanks to a famous, historic past and new, modern amenities. 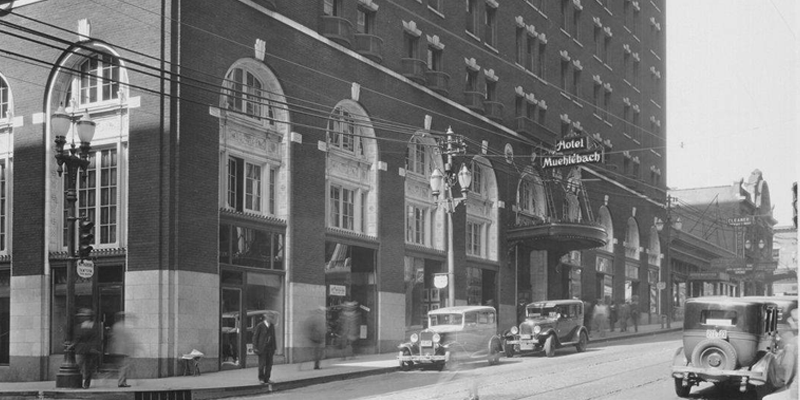 Made up of three total wings or facilities, 2015 marked the centennial year of the 12-story Muehlebach Hotel, now the operated by Marriott as the Muehlebach Tower, which originally opened in 1915. Considered a lodging “palace” in its early years of operation, many presidents and other dignitaries stayed at the hotel, from Elvis and the Beatles to Sinatra and Babe Ruth. Harry Truman was such a frequent visitor that the property was actually dubbed “White House West” during his presidency. Much of this history has been witnessed by many of the employees on staff, who combined offer a cumulative total of 500+ years of experience in the hotel industry. Among them is Cynthia Savage, current director of marketing for Kansas City Marriott Downtown and daughter of Philip Pistilli, who first worked at the Muehlebach in 1954 and whose children sometimes accompanied him to the hotel. Today, this premier convention hotel has become one of Kansas City’s most popular venues for local civic and social events. Together, the Muehlebach Tower and Marriott Tower encompass 983 luxury guest rooms and nearly 100,000 square feet of event space, making it ideal to host conventions and meetings both large and small. In deference to its historic past, recent Muehlebach Tower renovations merge jazz, Art Deco and Beaux-Arts design elements with urban chic style and high-tech functionality while the Marriott Tower recently received a $30 million renovation. While there is much history here, recent upgrades simultaneously address travelers’ changing tastes, particularly those of Millennials. 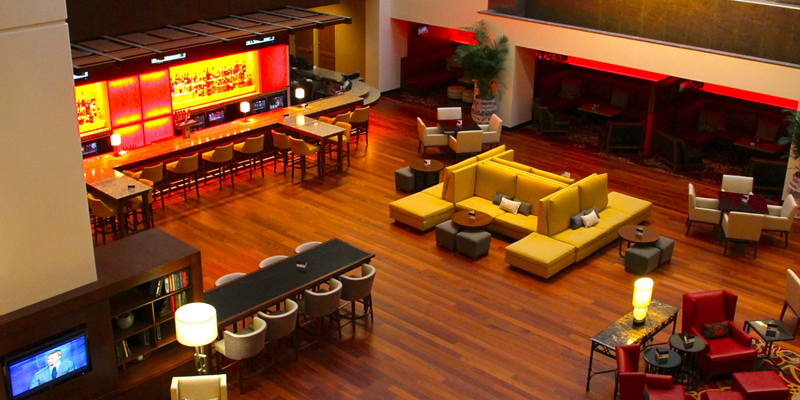 Free Wi-Fi is available throughout the property and the two-year-old BARCENTRAL lobby area features communal tables, as well as personal space that can accommodate work or relaxation. Guests can eat breakfast, lunch or dinner here as well. Locally produced coffee from The Roasterie and quick bites are also available at CoffeeCentral. In addition, travelers are just steps from the Power & Light District, known for its terrific shopping, dining at more than 40 restaurants and multiple nightlife options, including a popular outdoor performance space. There’s an enclosed walkway that connects the Kansas City Marriott Downtown hotel directly to the Kansas City Convention Center, too.